Available in fast, medium and slow speed. The shuttlecocks do everything we expect and need from them. They are strong and reliable. We shall choose these when we need some more. These are by far the best shuttles, I've always used these and they last such a long time. Highly recommended! 5 out of 5 Make the switch! Switched to these after using feathered shuttlecocks because we were having to throw away at least two every game due to loose/damaged feathers. Have to say that I'm really impressed with these, you get a good fast game, true flight and no damaged shuttles after 6 weeks! 5 out of 5 Great Shuttles and a great price. I play Badminton irregularly, mainly because it is so expensive at my local leisure centre. I started to play every week with a friend and realised my shuttles were pretty worn down. 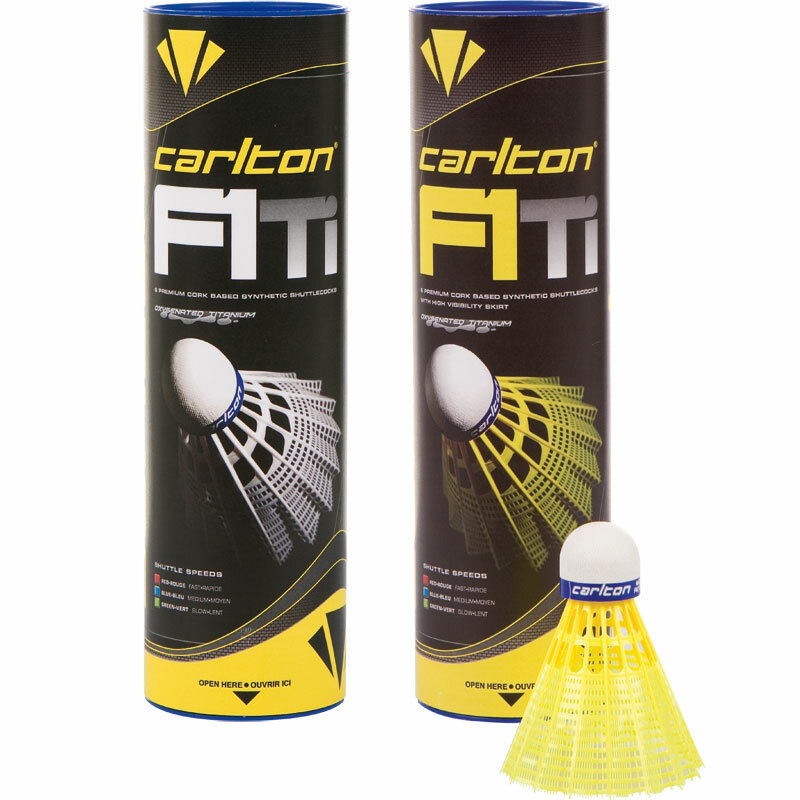 So I bought a tube of these Carlton F1Ti. They had similar Carlton Red shuttles when I was at school and out of all the shuttles I have tried these are still the best. Hard wearing and great speed. Having the option of 2 colours for the plastic feathers is also very appealing. The lights in our court can be very disorienting, so having Yellow Shuttlecocks helps to see them. I highly recommend these Shuttlecocks and Newitts service is brilliant. A great price, quick delivery and well packaged. Good service, fast delivery and very happy with product. As described on the website. Would use this supplier again. Thank you.